Staycity sees the opening of its fourth aparthotel property in Dublin when the 50-apartment building in Chancery Lane, Dublin 8, opens next week [3 December]. Chancery Lane offers 49 studio apartments sleeping up to two people and a two-bed apartment sleeping up to four. Facilities include a Staycafé, serving hot and cold drinks and snacks, guest laundry and 24-hour reception. 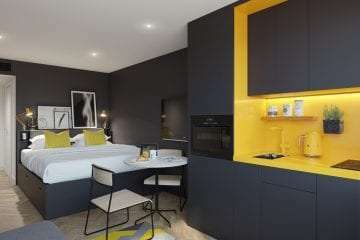 The apartments showcase a fresh, new look for Staycity featuring a charcoal colour palette with contrasting pop of sunrise yellow through the kitchenette, light fittings and soft furnishings. Functional storage has been incorporated into the apartment’s design using an in-built bed platform with spacious, easily accessible storage boxes concealed underneath. All apartments come with air conditioning, high-speed broadband, flat screen TV, rainfall shower, super-comfy Hypnos beds and a fully equipped kitchen with dishwasher, fridge, twin hob and combo microwave. Staycity Aparthotels Chancery Lane is within walking distance of Dublin’s vibrant Temple Bar district and a 10-minute taxi ride from 3Arena, Aviva Stadium and Croke Park sporting and concert venue. Chancery Lane is the first of four additional properties Staycity will open in Dublin with apartments in Little Mary Street, Mark Street and Moss Street opening in 2020. The Dublin-based company already operates aparthotels in St Augustine Street, Christchurch and Millennium Walk as well as properties in a further nine cities across Europe. There’s nothing like a Christmas market to evoke the thrill of Christmas – with their carol-singers, unusual gift ideas, and the lure of a warming glass of mulled wine with a hot mince pie! 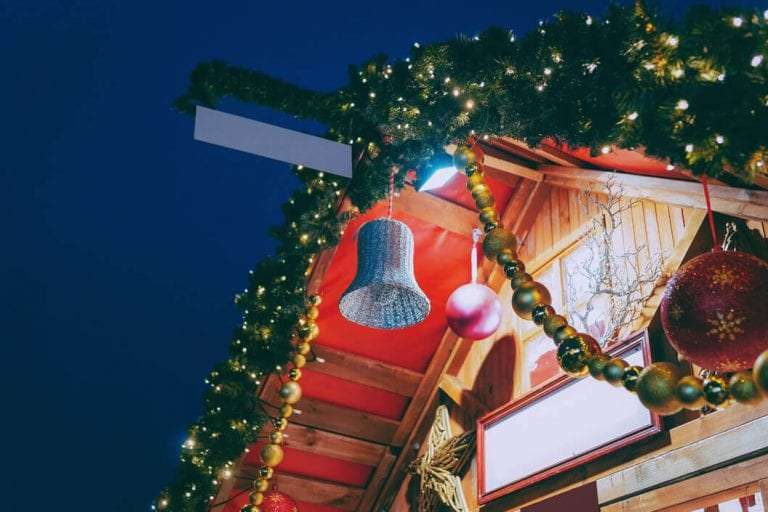 To celebrate the growing popularity of Christmas markets travel experts at Staycity have compiled one of the first comprehensive guides to Europe’s best markets – available at the click of a button on the company’s website – https://www.staycity.com/blog/top-100-Christmas-markets-Europe/. Staycity has included an exclusive top 100 list of Europe’s most popular markets to visit based on Google searches in the months running up to Christmas, when over 13.7 million internet searches are typically conducted on Christmas markets. According to the research Strasbourg, one of Europe’s oldest markets, remains the most popular, with 300 stalls across 11 locations in the city. Strasbourg’s Christmas markets receive over 165,000 queries on Google per month. Ranked second in the top 100 is Berlin, with over 125,000 queries. Berlin’s markets are renowned for turning the German capital into a Christmas fairytale, with up to 80 markets spread across the city. Manchester, one of the UK’s first-ever Christmas markets, ranks an impressive third on the list, now attracting over nine million visitors to its 300 stalls across 10 sites. Each city guide has need-to-know details on where the markets can be found along with opening times, dates and what you can expect to enjoy there. “Visiting a Christmas market really gets people in the festive mood – their popularity is growing each year as people discover the special atmosphere they offer as well as the opportunity to pick up unusual or handmade gifts and sample some of the best seasonal food and drink,” says Staycity marketing director Jason Delany. Award-winning Staycity offers great quality short-term and long-term apartment and aparthotel lettings in central city locations across Europe, under the Staycity Aparthotel and Wilde Aparthotel by Staycity brands. The company’s expanding estate includes properties in Dublin (179 apartments), Edinburgh (146), Manchester (182), Liverpool (268), Birmingham (249), London Heathrow (269), London Greenwich (166), London Strand (106), Paris (50), York (197), Marseille (108) and Lyon (144) with new properties scheduled to open soon in Dublin, Disneyland Paris, Edinburgh, Venice, Manchester and Berlin. The company is on target to achieve its stated aim of 15,000 apartments by 2022.
offer a dry gym. The company’s most recent openings, such as London Heathrow, York, Birmingham Newhall Square, Manchester Piccadilly and Marseille have a lounge/café for breakfast, all-day snacks and drinks. In 2015 Staycity Group won the Industry Breakthrough Award at the Association of Serviced Apartment Providers (ASAP) Annual Awards and was inducted into the Tripadvisor Hall of Fame. In 2016 the company was highly commended in the Serviced Apartment Business of the Year Award, Corporate category (ASAP Awards). In 2018 Staycity won the Best Operator Award (201+ apartments) in the Serviced Apartment News Awards. This article is part of a series which researches the top cities for Christmas Markets in Europe. In this series, Liverpool was placed in the top 75 most queried Christmas Markets in Europe. This article is part of a series which researches the top cities for Christmas Markets in Europe. In this series, York was recognised as the 24th most coveted Christmas Market from a list of over 500 European cities. The UK has had a tumultuous history of Christmas markets, with Oliver Cromwell, in the mid-17th century, placing strict laws in place about the ways in which the British people could celebrate Christmas. Nonetheless, the UK’s Christmas market tradition has survived, although a lot of today’s markets have not been around for the centuries their fellow Christmas markets in France and Germany can boast. In the medieval city of York, the annual Christmas market takes up most of the city – while festive pop-ups feature across its winding streets and avenues. You’ll find the usual Christmas market fare, with a Scandinavian feel – thanks to York’s Viking ties – rather than the Germanic theme we’re used to. It means that York’s Christmas market is one well worth exploring (and we’re sure you’ll find a bratwurst or two along the way). This article is part of a series which researches the top cities for Christmas Markets in Europe. In this series, Lyon was recognised as the 42nd most coveted Christmas Market from a list of over 500 European cities. France’s Christmas markets, or marché de Noel, date back centuries – with the first in the country taking place in Strasbourg in the 16th century – and are an unmissable part of the festive build-up, combining the French love of food and drink with the country’s flair for celebration and theatre. While Strasbourg’s Christkindelsmarik is the country’s oldest, and arguable most iconic, Christmas market, there are plenty of other French cities whose Christmas celebrations are worth a visit – Lyon’s among them. Alongside the famous and historic festival of lights, or Fete des Lumiéres, the Christmas markets in Lyon offer a great way to soak up the festive atmosphere for all the family. This article is part of a series which researches the top cities for Christmas Markets in Europe. In this series, Paris was recognised as the 14th most coveted Christmas Market from a list of over 500 European cities. Christmas markets have been around, in one form or another, since the 14th century, thought to have originated in Germany and spreading from there across Europe. Today, Christmas markets pop up in a plethora of European cities. Paris is no stranger to an open-air shopping spectacular at any time of year, but it is during the Advent season that the city of lights truly comes alive, with a wide selection of Christmas markets to choose from across each of its 20 districts, or arrondissements. You’ll find every kind of Christmas market in the French capital. Paris at Christmas is home to arts and crafts markets, food markets, German markets, jewellery markets, vintage markets and more, not to mention living cribs, visits from Pere Noel and the renowned Christmas village at La Défense. This article is part of a series which researches the top cities for Christmas Markets in Europe. In this series, Dublin was recognised as the 48th most coveted Christmas Market from a list of over 500 European cities. Christmas in Dublin is the most magical time of year. From the moment the Christmas lights are switched on Grafton Street in mid-November to the live busking by some of Ireland’s best musicians on Christmas Eve, Dublin turns into a bustling, atmospheric city full of colour, laughter, and sing-songs. One of the best ways to get into the festive spirit is to check out the best Christmas markets in Dublin, of which the best ones are listed below. This article is part of a series which researches the top cities for Christmas Markets in Europe. In this series, London was recognised as the 15th most coveted Christmas Market from a list of over 500 European cities. Visiting Christmas markets is one of the best ways to enjoy the season and the city at its most magical. There’s festive shopping but also much more: ice skating, rides, Santa’s grottos, food and drink – even Mexican wrestling, giant puppets and roller disco! Dublin-based Staycity Aparthotels has announced that its second Wilde Aparthotels by Staycity, the premium brand launched earlier this year, will be located on Edinburgh’s historic King’s Stables Road in the heart of the city centre. Inspired by 19th century Irish literary giant Oscar Wilde, Wilde Aparthotels Edinburgh will, as its centrepiece, feature an arts facility incorporating a gallery and exhibition space. This will house art installations open for view to the general public. The space will present an impressive frontage onto King’s Stables Road and will aim to profile the work of local artists. Originally used as a medieval tiltyard for jousting tournaments in honour of James IV, King’s Stables Road later became home to the royal horses. The historic site, currently owned by the City of Edinburgh Council, had formerly been used as offices, storage premises and workshops but has been vacant since 2009, although has more recently played host to an arts festival. While the majority of the scheme is new-build, parts of the historic medieval wall will be incorporated into the build, reflecting its historic past. Barry Hickey, group development director, Staycity Aparthotels, said: “This is an incredibly exciting opportunity for us. The historic King’s Stables Road provides an amazing setting for our latest venture. “With the brand’s strong link to cultural icon Oscar Wilde we hope the arts facility element of the scheme will become a destination in its own right, benefitting local businesses and helping King’s Stables Road become a new arts centre for the city. “We eagerly anticipate welcoming the first collection of artwork and have made a pledge to commit to working with local artists to ensure that their excellent work is being highlighted and promoted.” Wilde Aparthotels Edinburgh will offer apartments together with lounge, café, and gym facilities. The development, undertaken by Peveril Securities and Campus Development Management, forms part of a wider mixed-use scheme comprising residential and commercial units as well as student accommodation. Work is scheduled to start at the end of 2017, with the apartments expected to open in the latter part of 2019. Wilde Aparthotels by Staycity was launched earlier this year with its first property due to open on London’s Strand later this year. The concept will be rolled out across gateway city centre locations throughout Europe, with initial sites in London, Edinburgh, Manchester and Berlin. Each apartment will feature the latest intelligent in-room technology including a 43” flat screen smart TV and touch control panels for lighting, air conditioning, towel rails and blinds. Luxury features include a super-comfy XL-sized bed, rainfall shower and high quality bed linen complemented by a collection of Irish-inspired crafted accessories and soft furnishings. The look will be completed with solid oak flooring and a finely detailed piece of handcrafted joinery curated with local curiosities whilst also housing the kitchen and bathroom. An hour-long flight is all it takes to reach the rich cultural paradise that is Lyon. Although it’s famed for its gastronomical bravery, it’s so much more than a foodie’s dreamland – centuries of history is relived from one hidden passageway to the next. 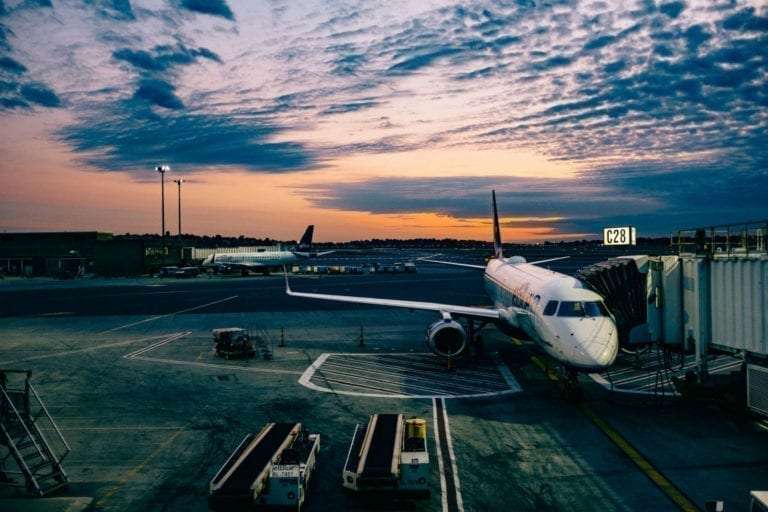 When it comes to travelling abroad or to a previously undiscovered destination for a work trip, there are several ways in which you can make the most of the opportunity. That’s right, there are ways to enhance your work trip and add sightseeing to your agenda alongside business meetings and work appointments. Why book a standard hotel when you can take over a whole apartment? Staycity is the perfect choice for families who want city-chic but don’t want to pay city-chic prices. Conveniently located almost next door to Manchester Piccadilly train station, Staycity Manchester is more than just a bed to crash in for the night. Sleek and minimalist, these apartments offer guests a luxury home away from home. Every time I visit London, I see another part of the city that I haven’t seen before, in the case of Greenwich it’s a place that I would LOVE to return to. There are two Staycity property’s in Greenwich: One located on Greenwich High Road and Deptford Bridge. I stayed in Greenwich High road which was just a two-minute walk to Greenwich Station, this made travelling to Greenwich from London city airport a less daunting experience and meant that I could travel into central London via DLR and Tube in a mere 40 minutes. Manchester’s modernist Gateway House – also known as the ‘Lazy S’ – will open today, 8 May, as a Staycity Aparthotel, creating 50 new jobs. The building, which sits alongside Piccadilly Station, was built in the 60s as offices and retail space but has remained empty since 2010. Staycity Aparthotels has signed a 25-year lease on the building, which is owned by LaSalle Investment Management, and will occupy all seven floors with retail space remaining underneath. Staycity Manchester Piccadilly offers 182 short-let apartments made up of one-, two-, and three-bed units each with an open-plan sitting room, kitchen and dining area and en-suite bathroom. Additional facilities include a café, lounge area, gym, car park for 56 vehicles and a 24-hour reception service as well as four separate meeting rooms offering a total space of 42m2 available for bookings from guests or local companies. “This is an important opening for Staycity as the building is a well-known landmark in Manchester – the first sight of the city visitors have when they arrive by train to Manchester Piccadilly. We are delighted to be part of the regeneration of this unusual and striking building,” commented Staycity Aparthotels CEO Tom Walsh. Dublin-based Staycity is one of the fastest-growing European aparthotel providers. Its wellequipped apartments are popular with both business and leisure travellers as an alternative to hotel accommodation. “Our apartments offer guests a freedom that they don’t get from a hotel. Business and leisure travellers either on short or long-stays are discovering the more home-from-home feel of an aparthotel, where they are free to cook their own food when they want and have the space to relax, work or meet colleagues or friends,” added Walsh. Staycity operates over 3,000 apartments across 10 European cities including Birmingham, Dublin, Edinburgh, London, Paris, Lyon and Marseille. The company intends to grow to 15,000 apartments by 2022, reinforcing its position as one of the leading aparthotel operators. Manchester is an incredible city with so much to see and do, it is constantly evolving and becoming ever more vibrant. 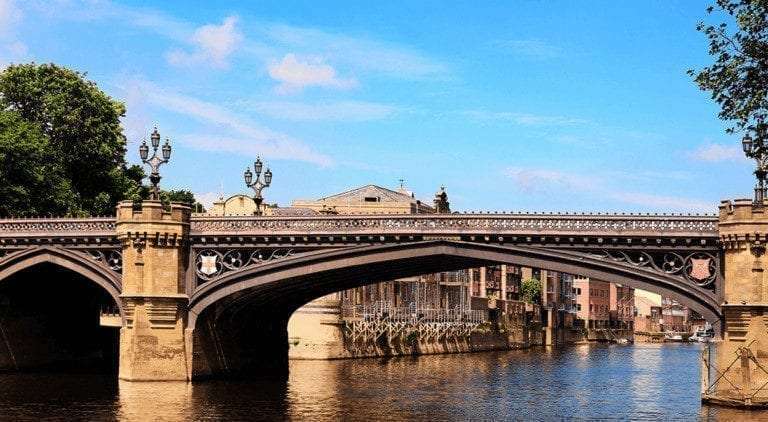 Whether you want to see the sights, go to the theatre or sample the fantastic food and drink scene that Manchester has to offer, there are plenty of things to see and do for everyone. Manchester has undergone quite a renaissance in recent years with new initiatives such as the Castlefield project, with its museum complex on Liverpool Road. The extension of the city’s entertainment and sports facilities & the billions of investment into Manchester City football club has also considerably enhanced its appeal for tourists. If you love to shop, there are plenty of options in Manchester. Manchester Arndale lies in the heart of Manchester city centre and is the home to a whole range of popular high street brands. If you fancy a bite to eat there are lots of restaurants and cafes with varying offerings in the centre so that you can refuel and refresh. Cultural, mythical, romantic, popular and trendy, the City of Lights is to be discovered again and again without ever getting bored. With family, friends or on a work trip, here are some tips and locations to fully enjoy your stay in Staycity Aparthotels Paris. Located in the quarter of “Gare de l’Est” and served by a lot of public transport (metro lines 2, 4, 5, 7 – bus 31, 43, 44, 47, 56 and 65), you are ready to set foot in the City of 100 villages. City of the Olympique de Marseille, pastis, boules, soap, rocky inlets and relaxation. Massalia or Marseille makes you feel like a king in a castle with it’s spectacular city to sea views. The panorama from the top of the steps of the Saint Charles railway station offers us a first glimpse of this multicultural city. “Belsunce is the jewel in Marseille’s crown, tucked between the station and the Old Port” are Bouga’s lyrics, a rapper from Marseille who pays tribute to his neighbourhood with his song Belsunce Breakdown. Here you will find La Compagnie which is an art and cultural venue with many interesting events and exhibitions. It’s no surprise when I moved to Liverpool I was a little sceptical at what it had to offer. London was always a steady producer of the perfect brunch spot, theatre productions to rival broadway, the most amazing of afternoon teas and enough things to do that even after 3 years living there I still hadn’t completed my bucket list. In 2008 Liverpool was named Capital of Culture and things have been on a steady increase since then. Whether you are on a stag or hen party, a romantic getaway for two, or a family holiday, there is practically something for everyone. York is a beautiful city in the UK with a lot of history, as it was founded by the ancient Romans. With a variety of wonderful attractions to offer and things to do, it’s the ideal place to visit for families and history enthusiasts. 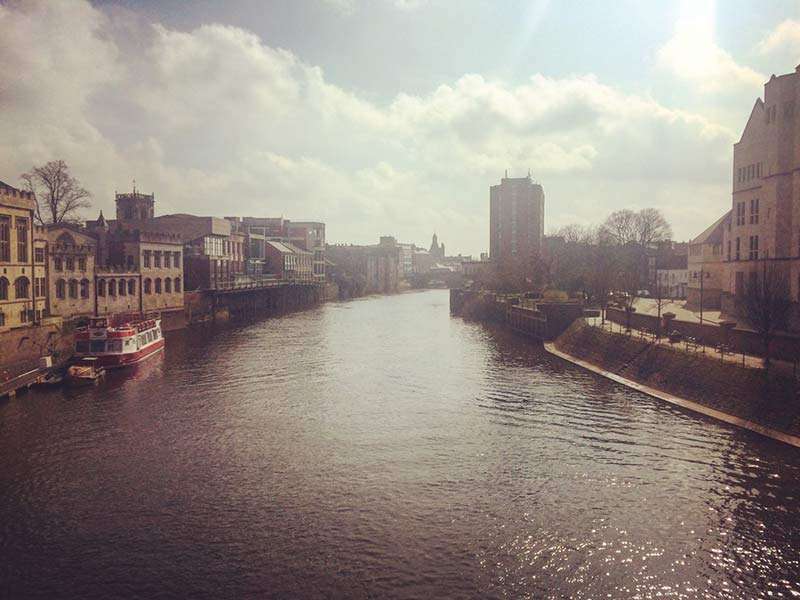 Today, York is a very fashionable city, attracting tourists from all over the world. It’s such an easy city to navigate by foot, or you can hop on and off one of the local sightseeing buses. York is known as one of Europe’s most haunted cities, so you can learn a lot about its spooky history via attractions such as guided ghost walks, the Ghost Bus Tour or you could pay a visit to York Dungeons. Using actor led shows, visitors get to see a unique history of the dungeons. Book in advance if you can though – as the queues can be quite long. Birmingham has reinvented itself many times over the years and the process continues today. 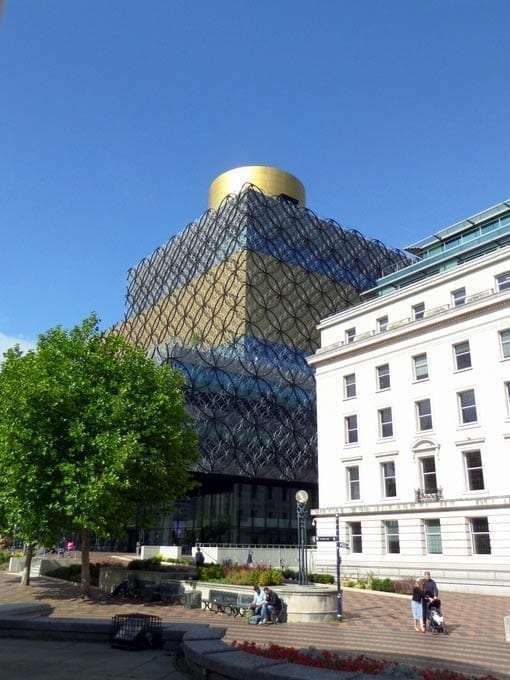 In fact one of its newish landmarks is a favourite place of mine to visit: the award winning Library of Birmingham. The distinctive twirling metalwork exterior means that the library catches your eye from everywhere within the city centre, but a visit to the garden terraces means that you can enjoy spectacular views of the rest of the central area and beyond. One of the key features of Birmingham is its compact city centre: it’s much easier to walk around than many other similar sized cities. Seeing it on foot means you get a chance to take your time, maybe look up a little and see some of the stunning architecture above your head. There are the Victorian frontages on New Street, some pretty little arcades, but also the more modern architecture of the Selfridges building or Grand Central. 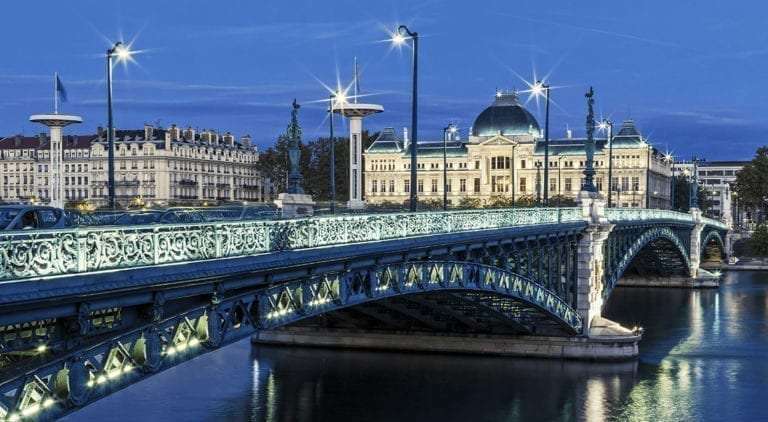 At the confluence of the Saône and the Rhône, near the Alps, Switzerland and Italy sits Lyon, a huge European intersection and meeting place since time immemorial. Ancient capital of the Gaules during the Roman empire, merchant city from The Renaissance, Lyon owes it’s initial rise and prosperity to the silk trade and thereafter to the textile industry which is very much part of its cultural identity today. Staycity Aparthotels’ Marseille and Lyon properties have together achieved high occupancy figures and exceeded budget expectations in their first month of trading. “We are delighted with the response we’ve had to both Lyon and Marseille,” said Staycity CEO Tom Walsh. “The early success of both these properties reinforces our commitment to further expansion in France and demonstrates the growing demand for aparthotels from both leisure and business travellers,” he added. The 108-apartment Staycity Centre Vieux Port opened at the beginning of February in Marseille’s popular old port area, just a minute’s walk from Colbert Hotel de Region Metro. The property will see occupancy for March reach over 80% with forward bookings for April expected to exceed this. Staycity Lyon Rue Garibaldi, the 144-apartment purpose-built building that opened in early March, is also likely to be ahead of budget expectations in its first few weeks of trading. 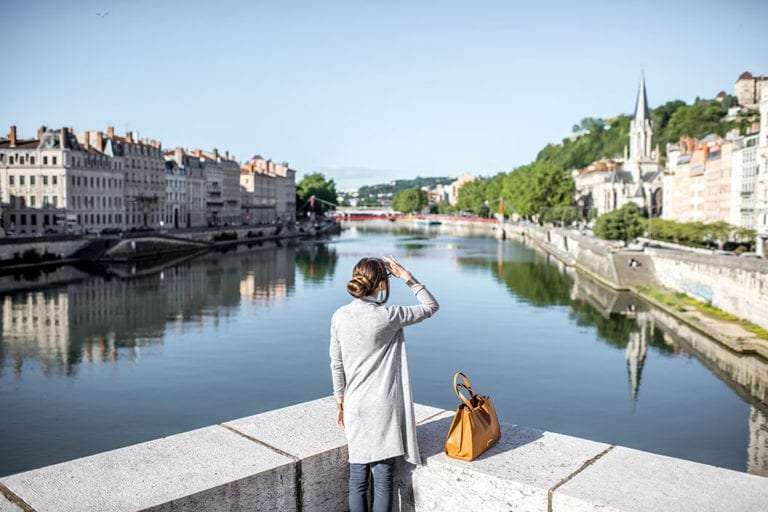 Staycity Lyon offers both studios and one-bed apartments in the Lyon 7 district, within walking distance of the city’s historic old centre and 10-minutes from the main business hub and train station. Staycity already operates a property in the popular 10th district of Paris, minutes from the Gare de L’Est transport hub, and is expected to add further properties in France over the next 18 months. The company has over 3,000 apartments across 10 European cities including Birmingham, Dublin, Birmingham, York, Edinburgh and London. Later this year Staycity will open in Manchester as well as unveiling its new premium brand at The Strand in London. Staycity Aparthotels intends to expand to 15,000 apartments by 2022, reinforcing its position as one of the leading aparthotel operators. Earlier this month Markus Beike was appointed as development director for Germany & CEE, with a focus on expanding the brand in Germany, Austria and Eastern Europe. Temple Bar was once thought of as the preserve of stag parties and eternally thronged with visiting tourists. However, this historic cobbled quarter in the heart of Dublin city has so many gems to explore. 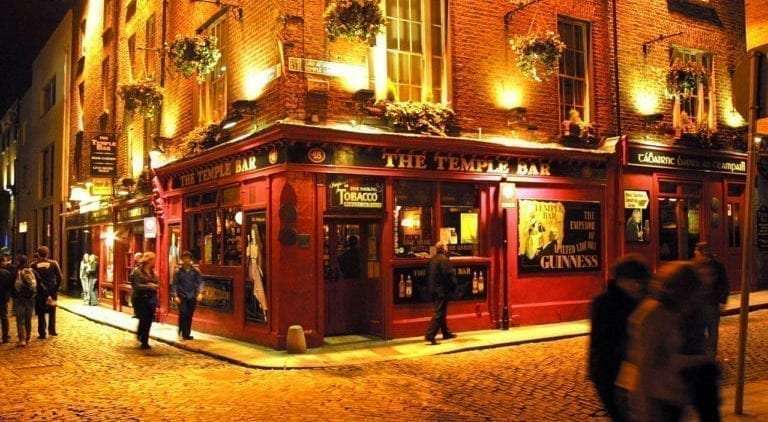 From cutting edge Irish pubs to third-wave coffee houses, tiny celebrated restaurants to thriving food markets, here’s where you need to visit in Dublin’s cultural quarter, Temple Bar. Every Saturday the beautifully-designed Meeting House Square transforms, blossoming into the bustling Temple Bar Food Market. Under its iconic canopies, artisan producers, butchers, bakers, vegetable growers and street food traders set up temporary shop, open from 10am ‘til 4pm, best to get there early! London is a wonderful city to visit, but it’s usually not without a hefty price tag. 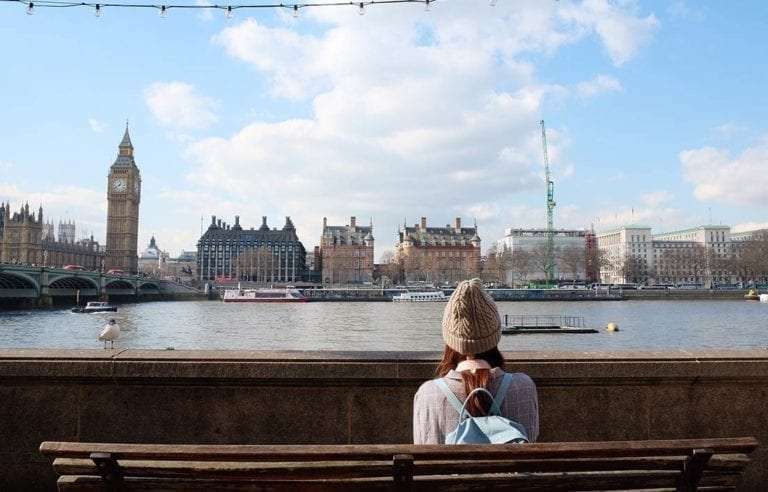 The best thing about the UK capital is it’s what you make it, so there’s lots of ways to have a cheap and cheerful budget trip to London and here’s our tips for keeping costs down on a Thameside trip. It’s not free, but it’s great value for money to use an Oyster Card for travel. You can see London from the sky on the Emirates Air Line, take the standard London buses instead of expensive tour operated ones to see some of the same sights without commentary (the No.11 is particularly good for this!) 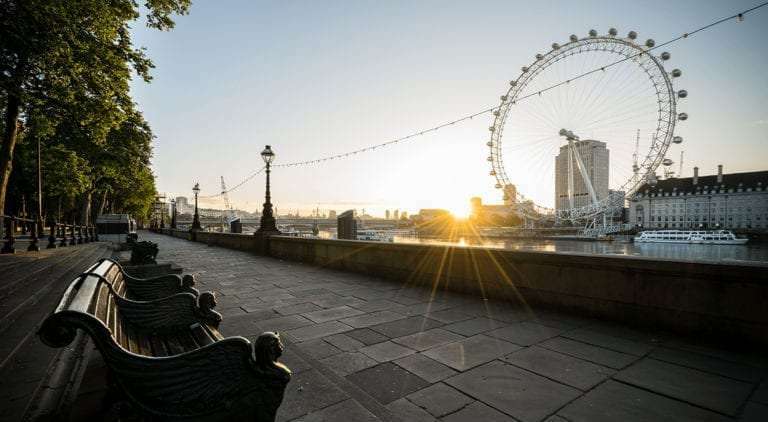 and travel on the London Overground service around the perimeter of city for views of various areas, from Shoreditch to Camden, Kensington to Clapham. Staycity Aparthotels, one of Europe’s largest independent aparthotel operators, is to open its second site in Manchester in May in the city’s modernist ‘s-shaped’ building, Gateway House, situated alongside Piccadilly railway station. Business guests are a key audience for the new Staycity Manchester Piccadilly with facilities that include four meeting rooms offering a total space of 42m2. The rooms are available for bookings from guests or local companies. The 182 short-let apartments will be made up of one-, two-, and three-bed units each with an open-plan sitting room, kitchen and dining area and en-suite bathroom. In addition Staycity Manchester Piccadilly will offer guests a café, lounge area, gym, car park for 56 vehicles and a 24-hour reception service. “This is an important opening for Staycity as the building is a well-known landmark in Manchester – the first sight of the city visitors have when they arrive by train. We are delighted to be part of the regeneration of this unusual and striking building,” commented Staycity Aparthotels CEO Tom Walsh. Dublin-based Staycity is one of the fastest-growing aparthotel providers. Its well-equipped apartments are popular with both business and leisure travellers as an alternative to hotel or b&b accommodation. “Our apartments offer guests a freedom that they don’t get from a hotel. Business and leisure travellers either on short-stays or long-stays are discovering the more home-from-home feel of an aparthotel, where they are free to cook their own food when they want and have the space to relax, work or meet colleagues or friends,” added Walsh. Staycity operates over 3,000 apartments across 10 European cities including Birmingham, Dublin, Edinburgh, London, Paris and Marseille. The company intends to grow to 15,000 apartments by 2022, reinforcing its position as one of the leading aparthotel operators. Leading aparthotel operator Staycity Aparthotels has today [1 February] opened in Marseille, the first of two new Staycity properties in France. Staycity already operates an aparthotel in the busy and popular 10th district of Paris, minutes from the Gare de Paris-Est transport hub, and today adds Staycity Marseille to its expanding portfolio. The property, based in Marseille’s popular historical Vieux Port, has 108 apartments. In March 2017 Staycity will open in Lyon in a purpose-built, 144-unit development in the city centre, within walking distance of the historic old centre and 10-minutes from the main business hub and train station. Dublin-based Staycity Aparthotels is one of the fastest-growing serviced apartment providers in Europe. Its well-equipped apartments, with kitchen areas enabling guests to prepare their own food, are popular with both leisure and business travellers. Staycity Aparthotels, which have a 24-hour reception, laundry facilities, and luggage storage with most properties also having a gym, car park, café and lounge area, offer guests a more relaxed, home-from-home experience than other types of accommodation. The company now operates over 3,000 apartments across 10 major cities in the UK and Europe with expansion plans taking it to 15,000 apartments by 2021. Other openings over the next 12 months include Manchester (182), London Covent Garden (106) and Liverpool (202). Dublin-based aparthotel operator Staycity has announced the appointment of Simon Walford MRICS as Development Director UK. Walford is the first of several senior appointments that will be made to strengthen the company’s development team across Europe and play a pivotal part in achieving the growth strategy that will take it to 15,000 apartments by 2022. He will report to Group Development Director Barry Hickey. Walford joins the group from a similar position with German budget hotel company Motel One. He has also worked with Jurys Inn as head of development & estates, former Malmaison and Hotel Du Vin owner MWB, and pub operator Mitchells & Butlers. “I’ll be working with landlords, developers and investors to acquire suitable premises in a number of UK cities,” commented Walford. “I’m very much looking forward to being part of the rapid growth and development of what has become one of the leading aparthotel brands.” Staycity Aparthotels is keen to acquire leasehold properties in London, Edinburgh, Bristol, Glasgow, Cambridge, Oxford, Manchester, York, Birmingham and Leeds. Over the next 12 months the company will open three new premises in the UK including Manchester (182 apartments), London Covent Garden (106) and Liverpool (202) as well as two in France – Lyon (144) and Marseille (108). Staycity now has over 3,000 apartments across eight major European cities. Last week Staycity Aparthotels was highly commended in the Serviced Apartment Business of the Year Award category of the annual industry awards, organised by the Association of Serviced Apartment Providers (ASAP). This year the awards attracted a record number of entries from operators, agents and suppliers. Leading aparthotel operator Staycity will this week [14 July] open the doors to its latest premises in York, following an 18-month building project by construction firm Bowmer & Kirkland. The stunning six-storey, semi-circular, 197-apartment premises on Paragon Street was built on the derelict site of a former swimming pool which was closed a decade ago and was demolished in 2007. The new building is adjacent to the prestigious Barbican area, overlooking the city walls and within close proximity to transport links. The opening of Staycity York has created 40 full and part-time jobs. Said Staycity CEO Tom Walsh: “We are particularly pleased to be opening in this hugely popular and beautiful city, which, as the aparthotel sector continues to gain in popularity, will generate strong demand from both tourists and corporate guests.” Staycity York is a mix of studio, one-bedroom and two-bedroom apartments with prices starting from around £69 per night for a studio apartment, £89 per night for a one bedroom apartment, and £115 for a two-bed apartment. Guest facilities include a café, lounge area, gym, guest laundry and locker room as well as car parking. The newly appointed general manager of Staycity York is Nasser Shaher, who joins from Whitbread Hotels and Restaurants where he worked most recently at Premier Inn. Dublin-based Staycity now operates some 1,400 apartments across eight European cities including Birmingham, Dublin, Edinburgh, Liverpool, London Heathrow, London Greenwich, Manchester, Paris and Amsterdam. The company is on target to expand to 15,000 apartments by 2021 with another premises due to open this year in Marseille and further openings next year in London Covent Garden, Lyon, Liverpool and Manchester. Staycity, the Dublin-based aparthotel operator, has revamped its website giving it a more modern image that better reflects the urban-look design principles behind its newest premises. The new-look website, developed by Staycity and Zinc Design, gives customers mobile and tablet compatibility as well as making the company’s growing portfolio of sites clearer and more visual with moving images that enhance the home page. “A high percentage of our bookings come via the website and that number is growing, so it’s a vital tool for us and a unique opportunity for us to effectively communicate our brand values,” said Jason Delany, the company’s newly appointed director of brand, product & marketing. 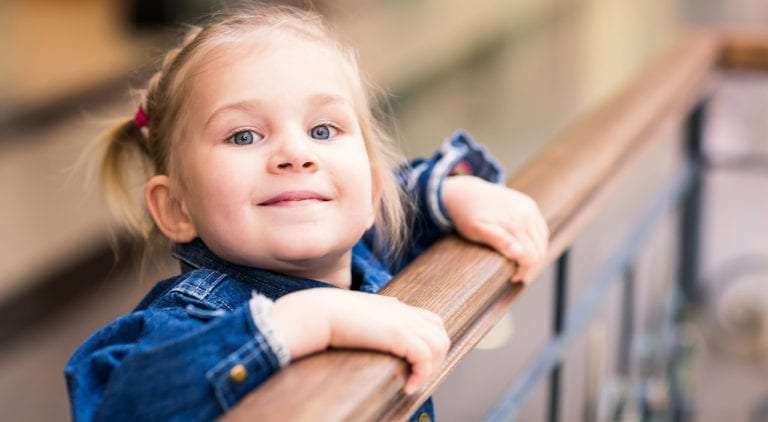 “The website makes greater use of the ‘stay with us’ franchise with key information pages entitled ‘stay awake’, ‘stay fed’, ‘stay sweet’, ‘stay informed’ and ‘stay secure’. We intend to make more use of this throughout our marketing as we move forward,” added Delany. The website also explains the company’s support of homeless charities Crisis and Focus Ireland, with 50p/50c from every online booking made from its website going to one of the two charities. Staycity Aparthotels can now be found in eight major cities across the UK and Europe with European expansion plans taking it from 1,200 apartments to 3,500 over the next 24 months. In a departure from its previous format Staycity’s latest opening in Birmingham Newhall Square as well as an extension to its Heathrow premises include a comfortable seating area where guests can work, meet or eat, together with an urban-look café offering premium coffee, pastries and light lunches. Where space allows future Staycity premises will feature this facility. This week Staycity also announced the promotion of Sales and Marketing Director Jason Delany to Director of Brand, Product and Marketing, while Group Revenue Manager Paula Mullaney becomes Director of Revenue, Sales & Distribution. Staycity is to open 202 studio, one- and two-bed apartments in Liverpool’s famous Corn Exchange building, creating up to 40 full and part-time jobs. The building is expected to open towards the end of 2017. The fast-expanding serviced apartment operator, with headquarters in Dublin, has signed a long-term lease on the former offices. A contractor for the project has yet to be appointed. The Corn Exchange lies in the heart of the Liverpool’s commercial region close to James Street Merseyrail Station, the retail and leisure development Liverpool One, Albert Dock and the new BT Convention centre. Staycity already operates 56 apartments in a former residential building on nearby Duke Street, which opened in 2009. “The Corn Exchange is an exciting project for us as it’s such a well-known building in a thriving area of the city,” said Staycity CEO Tom Walsh. “Our European expansion will take us to 10,000 apartments by the end of 2021 but it’s important that we also have a strong foothold in the UK’s major cities. Liverpool gives us a fantastic mix of leisure and corporate guests with a proven demand for aparthotels.” In line with Staycity’s latest openings the premises, which opens onto Drury Lane, will have an open-plan seating area where guests can work or eat and where premium coffees and teas will be available along with continental breakfasts, light snacks and lunches. All Staycity properties have a 24-hour reception with fully equipped kitchens and dining area, sitting area and bathroom, complimentary Wi-Fi, flat screen TV and weekly housekeeping. Staycity Corn Exchange will have a guest laundry, fitness room, parking for 53 cars, and luggage lockers. Staycity serviced apartments and aparthotels can now be found in eight major cities across the UK and Europe. Since November 2015 the company has opened in Birmingham Newhall Square (170 apartments) as well as extending its Heathrow site to a total of 269 apartments. This year sees further openings in Marseille (108 apartments) and York (190), with Lyon (144), London Covent Garden (106), and Manchester (182) scheduled to open in 2017. Aparthotels are ideal for both short and long term use, perfect for business guests, families, friends sharing or individual travellers looking for home-from-home comfort. Staycity has just [1 March] opened the doors to a further 125 apartments at its popular London Heathrow site with the addition of a spacious foyer, guest lounge and café on the ground floor and breakfast area and terrace on the podium level. “Our European expansion is now forging ahead and there’s much more to announce over the next few months,” comment CEO and founder Tom Walsh. The extension to Staycity Heathrow sees the fast-growing aparthotel operator moving into its neighbouring property, giving it a total of 269 studios, one- and two-bed apartments. Staycity Heathrow is the second location to include a dedicated lounge area offering somewhere to work, meet and eat. The ground floor café, which will be open to non-residents, will sell tea and ground coffee with Continental breakfasts and light lunches also available. As well as the café and lounge Staycity Heathrow also has a fitness room, guest laundry, luggage lockers and car park. Staycity London Heathrow first opened in May 2012 and has become a popular stopover for both business travellers flying into and out of the UK and leisure guests, boasting an average occupancy of 85%. “We have had a high level of interest in Heathrow since we opened,” commented Staycity CEO and founder Tom Walsh. The apartments are just a one-minute walk from Hayes & Harlington rail service which offers a 12-minute service into Heathrow’s terminals. Earlier this month Staycity opened 170 new apartments in Birmingham’s Newhall Square, the company’s second site in the city and within walking distance of the National Indoor Arena, Birmingham New Street train station, and the Bullring Shopping Centre. Staycity serviced apartments and aparthotels can now be found in eight major cities across the UK and Europe. The company’s European expansion plans will take it from 1,200 apartments to 3,500 over the next 24 months.